A good friend would always do things that is good for you. Even if the relationship blisters, the good one never hurts you. Instead he/she always wish for best things to happen for you. 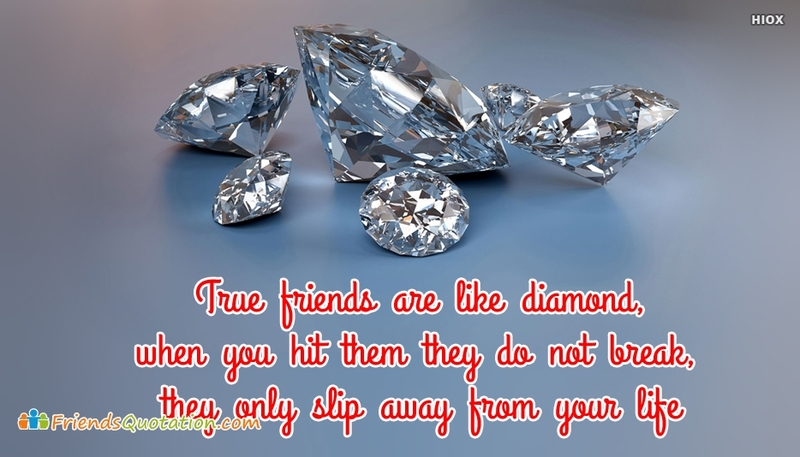 Free download and share this "True Friends Are Like Diamond, When You Hit Them They Do Not Break, They Only Slip Away From Your Life" quote and share it your best friends.